ASHGLOW PETRÓLEO Y GAS LTD, Londres. La gestión del petróleo y el gas Ashglow desea anunciarse a través de este medio que la oferta de empleo siguiente está disponible en nuestra empresa. Debido a la expansión de nuestros servicios y la apertura de la nueva rama de la gestión de las necesidades de hombres y mujeres trabajadores para rellenar las diferentes categorías de oportunidad de trabajo. En la actualidad, Londres está experimentando una disminución de la fuerza de trabajo. como tal, los solicitantes potenciales graves mentalidad y honesto debe aplicarse. Nuestra empresa será responsable de billetes de avión, alimentación y alojamiento. Aquí está el sueldo mensual de distintos tipos de obras en nuestra empresa. lo que tiene que enviar su CV / aplicación de base de la categoría de su profesión. "Los salarios por mes en categoría laboral"
1, comisarios . . . 5200 dólares americanos. 2, los técnicos ,. . 6550 usd dólares. 3, diseñador de moda 5900 usd dólares. 4, doctor en medicina . . . 9.600 dólares americanos. 6, Ingeniero Mecánico . . . 9600 dólares americanos. 7. el ingeniero eléctrico . . . 9.600 dólares americanos. 8, limpiadores de vapor, . . . 6.600 dólares americanos. 9, de seguridad . . 7500 dólares USSD. 10, mensajeros . . 6450 usd dólares. Y el resto de la vacante que no se publicarán aquí se basan en su experiencia de trabajo y la eficiencia. Ahora, si usted está dispuesto a trabajar con nosotros y su profesión es indicada arriba o quieres trabajar con nosotros y su profesión no se ha señalado anteriormente, puede enviar su CV / carta de presentación. Nuestra gestión será responsable del pago de su / su billete de avión, alimentación y alojamiento sólo, así que si usted está interesado puede contactar con nosotros directamente mediante el envío de su CVapplicaion a través de nuestra dirección de correo electrónico . . . . ashglowoilandgas @ ymail.com . Esperamos su pronta respuesta a través de esta dirección de correo electrónico . . . información ashglowoilandgas@ymail.com.for más se necesita. Dirección de correo electrónico . ashglowoilandgas@ymail.com . Our manager said that we should inform you that your name is selected to be one of the new employee that will work with us, so you are therefore ask to send to us a scan copy of your passport or passport photograph so that we can use it to process your visa and working permit and as soon as the visa and working permit is out we will send them to you so that you will come over to london and start work so be fast in sending us your passport.we wait for your reply soon. E-mail address . 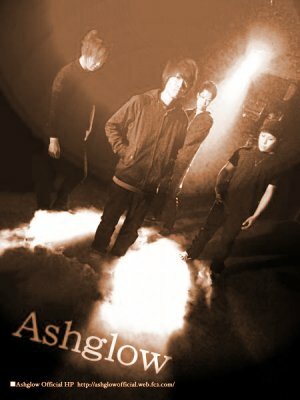 ashglowoilandgas@ymail.com . we have sent a copy of your passport to the visa processing office and the visa office is demanding the sum of $1200 to approve your visa and working permit but according to the policy of our company we do not allow the new employee to pay the fee alone. our company is responsible for paying half of the fee while the new employee will pay the half also, so you are required to pay the sum of $600 and we will help you to complete the balance of $600 and as soon as we get your payment we will send the money to the visa office so that they will complete and approve your visa and we will send down to you the visa,traveling ticket and working permit so that you will come over to start work with us in london. so we wait to hear from you before we will send to you the payment detail. we wait your reply soon. Asunto: be fast so that your visa will soon be out. You will use western union money transfer as a means of sending the money. and we want you to do make the payment as soon as possible s so that we will tell the visa office to process your visa fast next week and you will come over to london to resume work. Having made the payment get back to us as soon as possible with the following informations. 1-A scanned copy of payment recept from the western union money transfer. 2- The Western Union payment information for the visa processing fee. Have this done as soon as possible to enable us complete the processing of your visa and as soon as your visa is out we will send to you all the document and you will come down and start work with us. Respond as soon as possible. and as soon as you make the payment try to call us with this cell number +447045736230. but if you want to know more about our firm all you need to do is to visit our compay web site and you will get all your question answered. 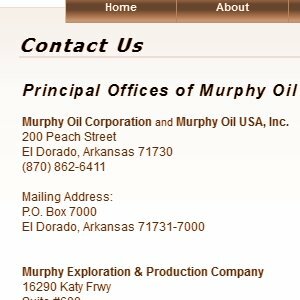 this is our web site( murphyoilcorp.com ) and you can also call us any time you want to get information from us. so i will advise you to comply with the payment of the visa fee so that we can process the visa as soon as possible and as soon as the visa is out we will send it down to you so that you will come over to london and start work with us. we wait for your reply soon. Asunto: Re: be fast so that your visa will soon be out. we are a reputable oil and gas company and we are doing this job offer to help those that do not have job so i want you to know that we are real and if you work with us you will be happy working with us because you will always get your salary at the right time. and we do not beg people to work with us but if you are serious tell us when you will make the payment so that we will send your passport to the visa office. we work from monday to friday and we pay every fourth night that is every two weeks we pay your salary and there is no work on saturday and sunday and we provide accomudation for all our staff and after working with us for two years you can get your family to live with you.all our new employee will start work next month so if you are serious and you want to work with us let us know so that we will get you invition letter, visa and working permit ready and send then to you soon, we wait your reply soon.